As the water levels in the River Main drop, a monster emerges from the deep. The place is Frankfurt, the time is the present day and the city is being evacuated while a bomb disposal man wades out into the water to make his final inspection of a 1.8 tonne bomb dropped by the British in the Second World War…. 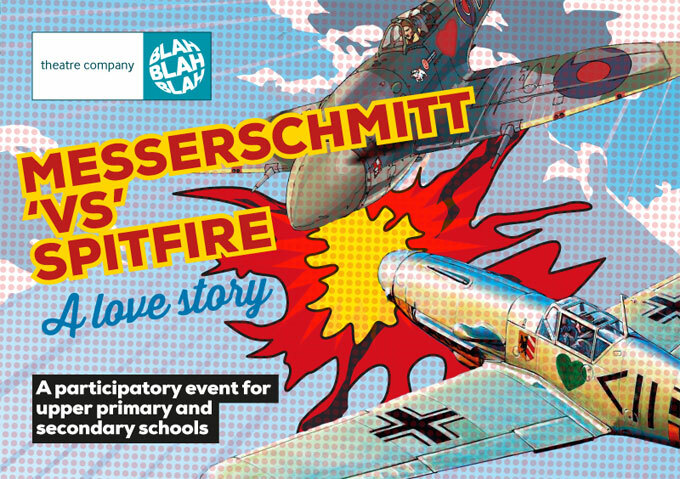 Originally devised in collaboration with the Theaterhaus Ensemble in Frankfurt, Messerschmitt Vs Spitfire began as a predominately German language piece, touring German high schools. The same version, with an additional 60 minute workshop afterwards to explore themes from the play, was then toured to Modern Foreign Language departments in high schools and universities in the UK . A further version with more English was then developed, making the piece more widely accessible to History and Drama departments as well as still being appropriate for German language students.